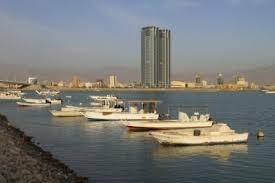 Exploit a dynamic, lucrative and rising economy of RAK through business set up in RAK free zones. With Dubai Business Services, experience an easy, quick and low cost business set up in RAK free zones. Our unified approach and services help you start your business operations in RAK in a matter of days as our specialized team reliably and promptly completes the entire company registration and business set process. Why should you go for business set up in RAK Free Zones? RAK free zones act as highly empowering free zones for businesses that seek for low cost and growing business opportunities in the UAE. The business set up in RAK free zones is an attractive opportunity for the investors as it offers businesses a world-class and cost-effective economic zones having specialized businesses packages and services along with state-of-the-art facilities. Enjoying a strategic location, the RAK free zones connect investors to emerging markets of Middle East, Europe, North Africa and Central and South Asia. The region has become a preferred business place of more than 15,000 multinational businesses from over 100 countries across 50 different sectors. Ras Al Khaimah Economic Zone (RAKEZ) oversees and regulates the specialized clients and zones of both RAK Investment Authority (RAKIA) and Ras Al Khaimah Free Trade Zone (RAK FTZ). RAK Free zone has also been awarded as the best emerging free zone, grown expansively on the grounds of technological development, innovation, social responsibility and rising economy. From world-class business set up facilities to value-added company formation services, Dubai Business Services offers unparalleled support to help company formation in RAK free zones and non-free zones. Give us a call to set an instant appointment.